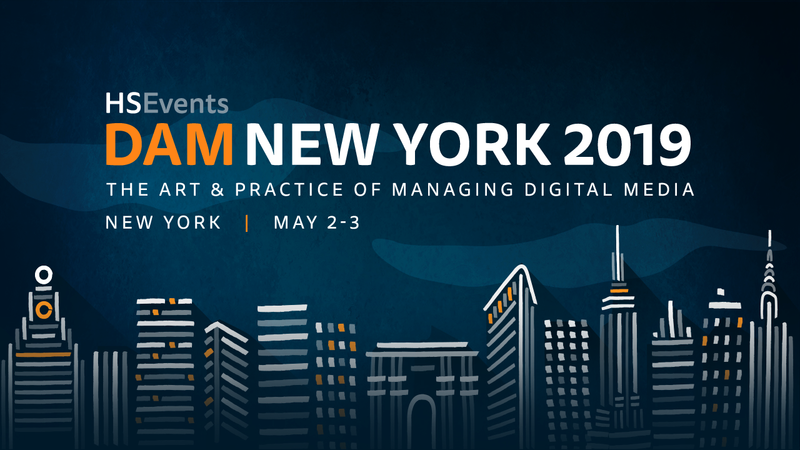 Don’t miss DAM New York 2019 – the world’s largest gathering of Digital Asset Management professionals, which will take over the New York Hilton Midtown on May 2-3. Organized by Henry Stewart Events, DAM New York 2019 has become a must-attend event with 600+ attendees, 80+ speakers during 60+ sessions over two days covering Metadata, Integration, AI, Automation, Creative Operations, Corporate Archives, Video Workflow, Rights Management, Semantics, Governance and more. SVG members will receive $100 discount on the registration fee when using discount code SVG100, so make sure to register today. Over the past 17 years at this event has addressed everything DAM – all from the user’s perspective. Always striving to cover the latest thinking and new developments in the field, this year’s DAM NY conference will feature a wide range of brand new content. Few business remain untouched by DAM – from CPG’s, media, leisure and retails, to healthcare, education, cultural heritage and government. This is reflected in DAM NY attendees, which include representatives from: 20th Century Fox, adidas, American Museum of Natural History, AT&T, Bank Of America, Bloomberg, Boston Symphony Orchestra, Boy Scouts of America, Bristol-Myers Squibb, Carnegie Hall, CBS, Celgene, Chevron, Clinique, Coach, Coca-Cola, Columbia Sportswear, Comcast, Comedy Central, Council on Foreign Relations, Country Music Hall of Fame and Museum, Diageo, Droga5, E.&J. Gallo, Edwards Lifesciences, Estee Lauder, Exelon, FedEx, GAP, GEICO, General Mills, Hasbro, HBO, Hearst Magazines, Hershey’s, Hilton, IBM, JetBlue, Johnson & Johnson, Kiehl’s, Kohler Co., Kraft Heinz, LinkedIn, Major League Soccer, MARS, Merck, Metropolitan Museum of Art, Monster Energy, National Geographic, NBCUniversal, Nestle, New York Power Authority, New York University, Ogilvy, Pfizer, Philadelphia Eagles, Procter & Gamble, Prudential, Publicis, PVh, Ralph Lauren, REI, Rockstar Games, Save the Children, Showtime, Sodexo, Stanley Black and Decker, Subway, TBWA, The New York Times, T-Mobile, Tommy Hilfiger, Tourism Ireland, Ubisoft, University of Notre Dame, UPS, Viacom, Victoria’s Secret, Walt Disney, WestJet, World Wrestling Entertainment and Yum! Brands.